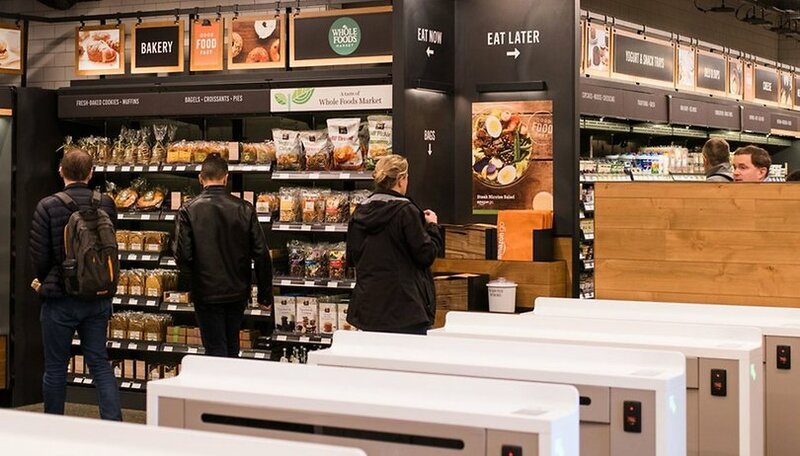 With Amazon Go, the e-commerce giant wants to build a system for the supermarket of the future. But now Amazon has had to row back a bit and wants to introduce a cash register in its cashless supermarkets. Amazon plans to open up to 3,000 new cashless supermarkets by 2021. Customers go in there, grab the desired products and pay automatically when they leave, without having to stand at the checkout for a long time. But unfortunately they didn't think about people who don't have a bank account and can't pay automatically via their Amazon account. In recent months, Amazon has received more criticism for this and now, and according to CNBC, also wants to accept cash for payment in the future. But this probably also means that the supermarkets without long queues at the checkout will get some after all. The question of how to separate cash users from those without in the future in the Amazon GO stores remains open. In the US, discrimination against people without bank accounts is frowned upon, since around 6.5 percent of households (8.4 million people) do not have a bank account. In some cities, therefore, measures have already been taken in part to prevent this discrimination. In Philadelphia, for example, stores in which you cannot pay with cash have been banned since March. There are similar considerations in the state of New Jersey and cities like New York, San Francisco and Chicago. What do you think of the change? Is Amazon Go going to become pointless? Meanwhile, beggars in the large cities in China have started hanging signs with QR codes on their necks so people can donate to them with their phones because so few people use cash anymore as the country is rapidly moving to mobile payments.